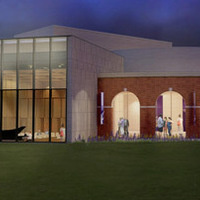 The University of Mary Hardin-Baylor’s College of Visual and Performing Arts will present the first full Broadway production in the new Sue & Frank Mayborn Performing Arts Center! Featuring such famous songs as “Til There was You,” “Goodnight My Someone,” and of course “Seventy-six Trombones,” The Music Man is a classic tale of how a con man brings music and joy to an uptight Midwest town. $25 for adult tickets, $10 for student tickets. Free for children under 8 or students with CruCard.